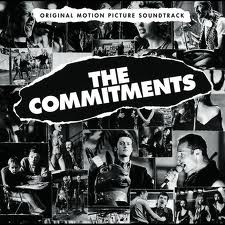 The Commitments were the band formed for the film of the same name (released in 1991). The film was a very good watch but for me the music is what has stood the test of time. It’s a shame that the band didn't go on to perform. The lead singer – while deeply unlikeable in the film – has a fabulous voice. Andrew Strong who was only 17 when he made the film tried to establish a solo career as a singer/songwriter but had very limited success. He has been part of various reunion tours. For book lovers, the film is based on Roddy Doyle's book of the same name.